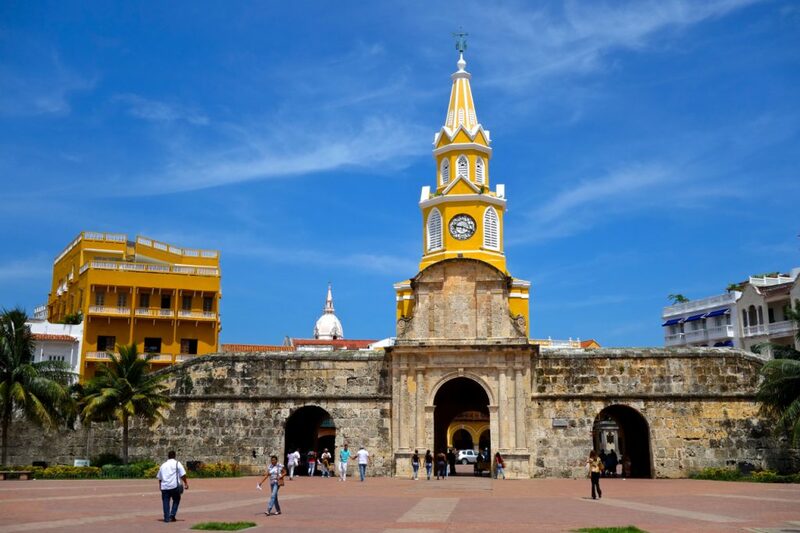 Cartagena is a beautiful, historic city on Colombia’s Caribbean coast. Founded by the Spanish in 1533, Cartagena has long been a center of transport and commerce in the Caribbean Sea, and was named a UNESCO World Heritage Site in 1984. Today, Cartagena is best known for its colorful winding alleys, historic buildings, forts, and churches, and its rich colonial history. 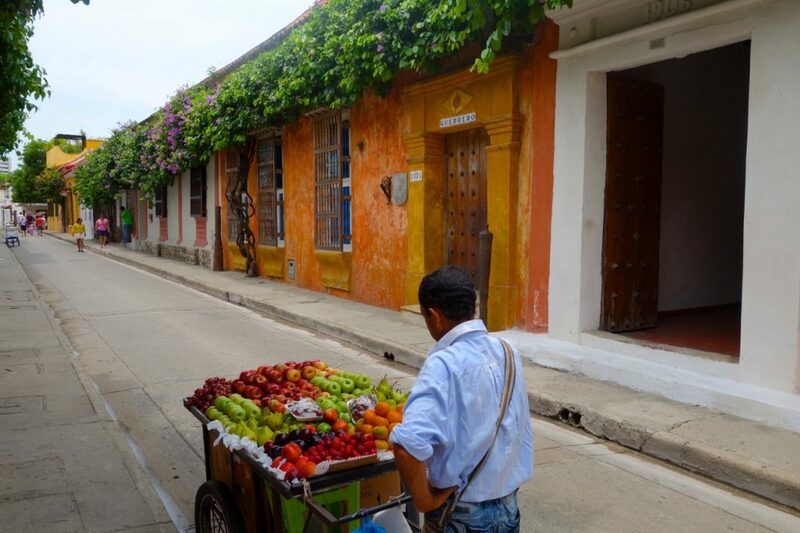 While it is easy to spend several days wandering through the narrow streets of Cartagena’s Old Town, there are countless activities to check out, and numerous opportunities to get out of the city and explore the coast. Regardless if you’re a history buff or not, Cartagena is well worth a visit while traveling along the North Coast of Colombia. Cartagena is easily reached by plane through several carriers in Colombia. Check out VivaColombia.co for great rates. One can also get to Cartagena via bus from most transportation hubs in the northern part of Colombia. Check with your hostel and/or the local bus terminal for schedules and rates. 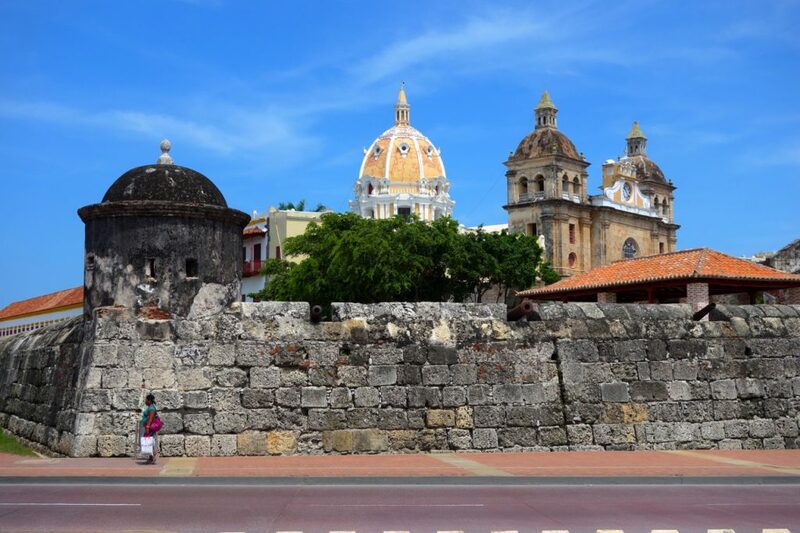 Hit the town- Narrow alleys, hidden secrets, and walls full of history- Cartagena is MADE for a walking tour. There are countless tours offered, each tailored for specific interests. Alternatively, grab a City Guide from the tourism office and go on your own- you’re bound to learn something interesting either way. Ride the Bus- the tourist bus in Cartagena is a great way to get to know the city and see some parts you might not otherwise, all while listening to an informative narrative of the history of the city. Hop on/hop off tickets give you heaps of flexibility, and it’s a great activity to do upon your arrival in town. Dine afuera- Cartagena is famous for its plazas, and rightfully so. There are several spread throughout the city, each with its own character and vibe. Cafes line these picturesque plazas, and are perfect spots to sit and watch the world go by. 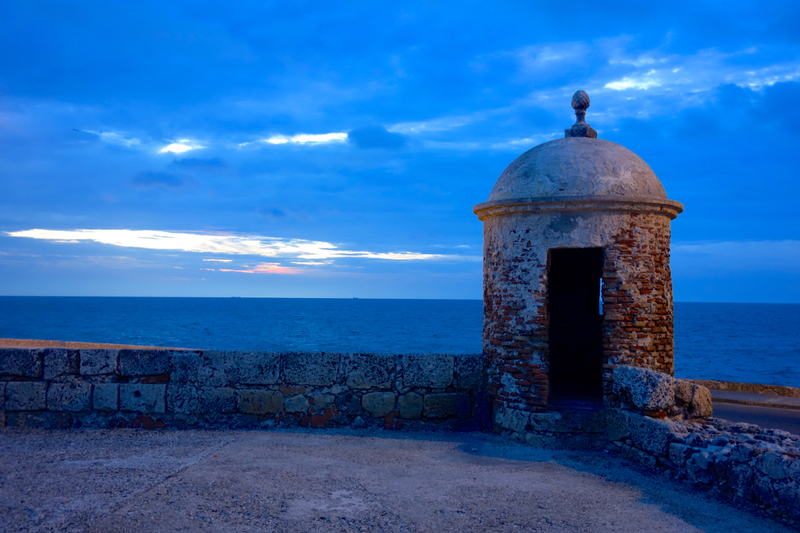 Storm the castle- The impressive Castillo San Felipe de Barajas strikes an imposing figure along Cartagena’s skyline. 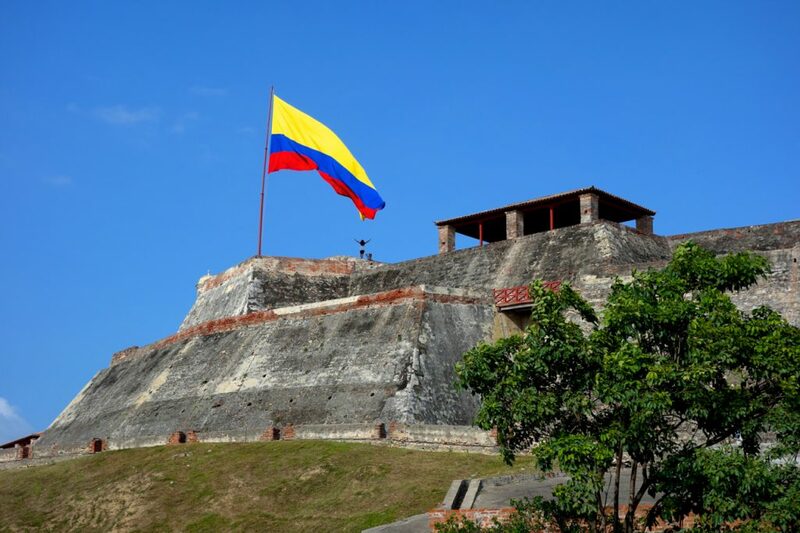 This MASSIVE fortress has guarded the riches of Cartagena’s elite for the past 500 years, and an hour or two spent wandering its towering walls and exploring its cavernous tunnel system is well worth the time. Great views of the Old City and the Caribbean Sea are an added bonus. Hit the Beach- The Bocagrande area of Cartagena boasts some of the best beachfront property in town. Fancy hotels, name brand shops, every kind of restaurant imaginable, and a stretch of sand even Brazil would envy- Bocagrande has it all. 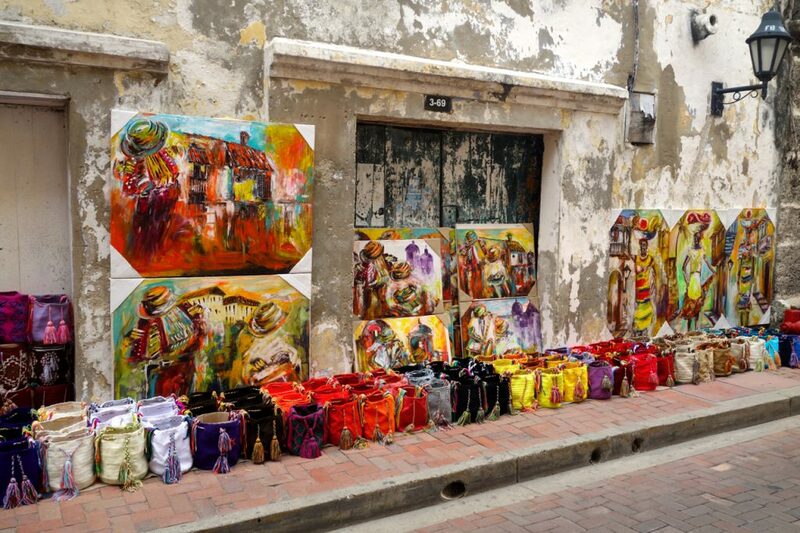 Shop ‘til you drop- Shopping is an institution in Cartagena. Whether you’re hitting up the fancy shops in Bocagrande, haggling with vendors on a corner stand in the Old City, or wandering through the countless stalls in Las Bóvedas, there isn’t a lack of places to spend your pesos. Bring your bargaining skills- these vendors are PROS. Take a Mud Bath- there’s a day trip to the Volcán de Lodo El Totumo- a mud volcano that is pretty popular with visitors to Cartagena. Ride a bus, climb a hill, and sit in a warm pool of mud. Good times! Go for a cruise- The Islas del Rosario/Playa Blanca day trip is another popular excursion for backpackers in Cartagena. A boat takes you out to the islands in the morning, stopping at Playa Blanca to give beachgoers the opportunity to swim, snorkel, or just laze around in the sun. 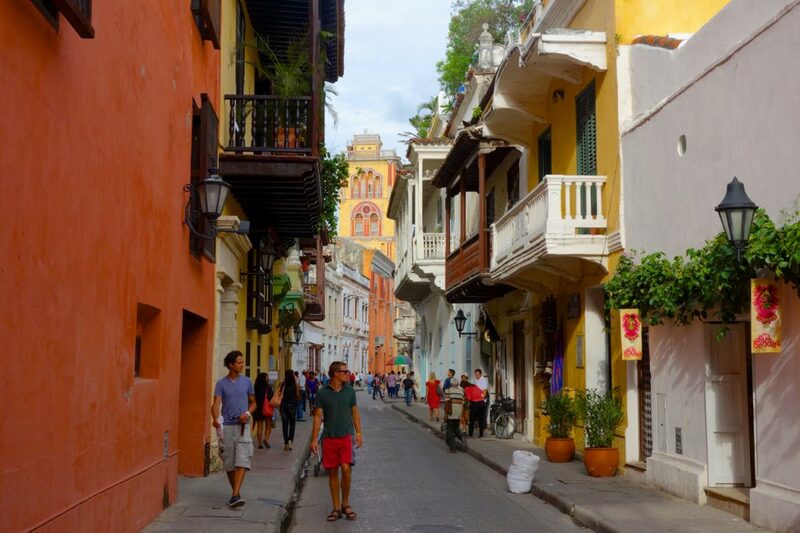 Most budget hotels and hostels are located in either the Old Town or Getsemaní- great locations for easy access to the historical center of Cartagena. Vendors drive a hard bargain in Cartagena- they’re used to haggling with tourists, and they’re not quick to come down on their price. Cartagena is a frequent stop of many fancy (EXPENSIVE) Caribbean cruises, and unfortunately, the vendors and their prices reflect this. If you go to the Mud Volcano, take a change of clothes. You’ll be glad you did. If you want to do the Islas del Rosario/Playa Blanca day trip, it’s cheaper to buy the ticket directly through one of the cruise offices located on the port. Exit the Old City through the Clock Tower, cross the street, turn right, and the cruise offices are ahead on your left.